Sushi Damu already gained good reviews & ratings in California, they have brought good sushi with the friendly California vibe to here, Texas. Premium rolls & poke are the specialties of Sushi Damu. Cannot wait to explore all the special rolls! New location of Metro Vapors has opened in the city of Richardson. They provide premium e-liquid, vape hardware, and all the accessories you need. Giant Sign took down these old MetroPCS signs from a client’s previous location and brought the signs back to our shop where we retrofitted the lighting; changing the existing neon lighting to an LED lighting system. 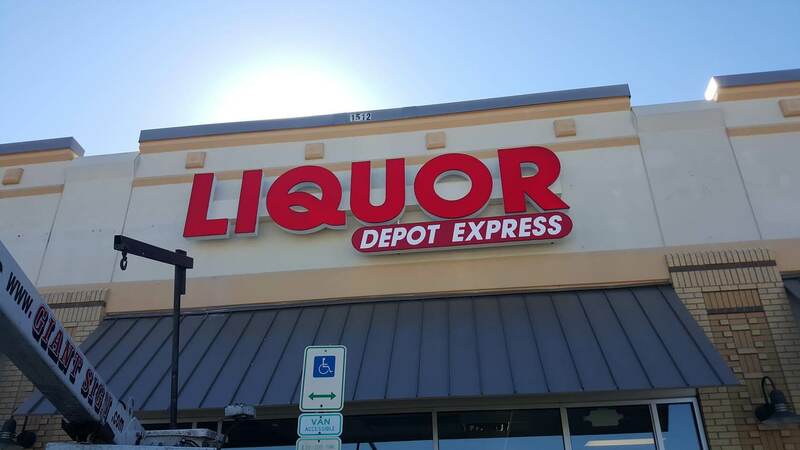 In the process, we also removed all the letters, repainted the raceways to match the new location walls and reassembled the signs so that they meet both the UL standards and NEC codes, required by the City of Dallas. It’s not often we can refurbish and update a sign to make it more efficient. When we do, our customers love the fact that their reused sign looks new like these do. They provide a taste of heaven, using fresh fruits and juice to make their own recipe for smoothy, frost, whatever you call. Please enjoy the colorful sign from Giant Sign. They are opening up in two months, Cannot wait to try! Saint Bernard Sports opened its newest location in Austin’s newly developed shopping center call The Domain this past week and we were excited to install this complete sign package prior to their soft opening. The signs included two canopy top mounted, front lit channel letter sets which featured 8 inch deep powder-coated returns, a powder-coated, low-profile aluminum extruded raceway to match the canopy color and ¾” laser cut acrylic faces with translucent vinyl overlays and underlays. These signs required the use of a mounting process that utilizes powder-coated (to match the canopy color) aluminum block fasteners that latch to the extending ribs of the canopy. The complexity of the channel letters closely matched the complexity of the double-sided blade sign which features exposed neon, an internally LED-lit push through ¾” acrylic logo, a powder-coated and welded steel base plate and arms (that matched the wall color) along with the aluminum framed and skinned cabinet which was powder-coated red. The final matching sign piece was the non-lit pedestrian blade sign (also powder coated white) which was installed near their entrance. Two Sets of Illuminated Channel Letters on Raceway on Canopy.